"Jun Kim conducted the UWM Symphony Orchestra, which played Ravel’s challenging, jazzy score with snappy energy and a terrific ear for detail..."
The Prize winner of 2013 Orquesta de Cordoba Conducting Competition in Spain, 2012 Black Sea Conducting Competition in Romania, and the winner of 2015 American Prize in Opera Conducting, Jun Kim has conducted extensively in North America and Europe. Jun Kim has appeared with orchestras such as the State Symphony Orchestra of Russia, the St. Petersburg State Symphony Orchestra, the Moscow Symphony Orchestra in Russia, Moravian Philharmonic in Czech Republic, Timisoara Orchestra, Symphony Orchestra of the National Opera and Ballet in Constanta, Brasov Philharmonic, Pitesti Philharmonic, and Bacau Philharmonic in Romania, Lithuanian State Symphony Orchestra, Radom Chamber Orchestra in Poland, Orquesta de Cordoba, and Symphony Orchestra of Elche in Spain, Berlin Sinfonietta in Germany, Mahler Philharmonic in Austria, Winnipeg Symphony Orchestra in Canada, Milwaukee Symphony Orchestra, Baltimore Chamber Orchestra, Duluth Symphony Orchestra and Richmond Symphony Orchestra in USA. In 2018, as a Beethoven conducting prize recipient from European Music Academy, Jun Kim guest conducted three concerts with North Czech Philharmonic Orchestra in two different cities in Czech Republic. Jun Kim also won the first prize at Malta International Conducting Competition in Malta, voted by orchestra and will be returning to guest conduct the orchestra. He was also the winner at L’academy Lyric in Vendome, France, and will be a guest conducting the North Czech Philharmonic Orchestra at Smetana Hall in the heart of city in Prague. He has been selected as a Discovery Series Conductor at the Oregon Bach Festival under Maestro Helmuth Rilling. Kim has participated at the National Arts Center of Canada Conducting program and was personally selected by Maestro Kurt Masur for the Kurt Masur conducting seminar in New York. He has worked and conducted for the production of Verdi’s La Traviata at National University of Music in Bucharest, Romania. He was a scholarship recipient at the Pierre Monteux School for Conductors. He has returned to conduct the Duluth Superior Symphony Orchestra by musicians’ invitation for their subscription concert. Most recently, Jun Kim has been selected to participate at St. Magnus Festival in U.K to work with the BBC Symphony Orchestra. He was also chosen to work with Cincinnati Symphony and the May festival Chorus, and also with Baltimore Symphony Orchestra with Marin Alsop. Jun Kim has worked under the Maestros such as Dumitru Goia, Jorma Panula, Martyn Brabbins, Kenneth Kiesler, Xian Zhang, Colin Metters, Gustav Meier and Markand Thakar. The artists he has collaborated include pianist Mikhail Petukhov (Winner of Queen Elizabeth competition), Seong-Jin Cho (Gold Medalist, Chopin Competition), Yeol-eum Son (Silver Madalist, Van Cliburn and Tchaikovsky Competitions), Hyesun Paik (Laureate of Tchaikovsky Competition), Violinist Rachel Barton Pine, Sungsic Yang, Mitica Feraru, Clara-Jumi Kang (Gold medalist, Indianapolis Competition), Cellist Amit Peled, Clarinetist, Alexander Fiterstein (Gold Medalist, Nielsen Competition), Soprano Donna Brown, Baritone Markus Eiche (Vienna State Opera), among many others. Active as a violinist and an avid chamber musician, Jun Kim has played recitals and concerts and he has been invited to give violin masterclasses and performances at the universities in US and Korea and served as juries for many competitions. He has won prizes and awards including the Starling Competition, the CCM Concerto Competition, CIBC Canada National Music Competition, Vancouver Youth Symphony Concerto Competition, Tuesday Musical Competition of Akron and he was a recipient of the Aspen Music Festival Fellowship, British Columbia Cultural Scholarship, Bowdoin Festival fellowship, among others. He has also played in violin masterclasses of Cho-liang Lin, Pamela Frank, Federico Agostini, Sergiu Schwartz. He has studied chamber music with the members of the Juilliard Quartet, Cleveland Quartet, La Salle Quartet, Tokyo String Quartet, and the Peabody Trio. 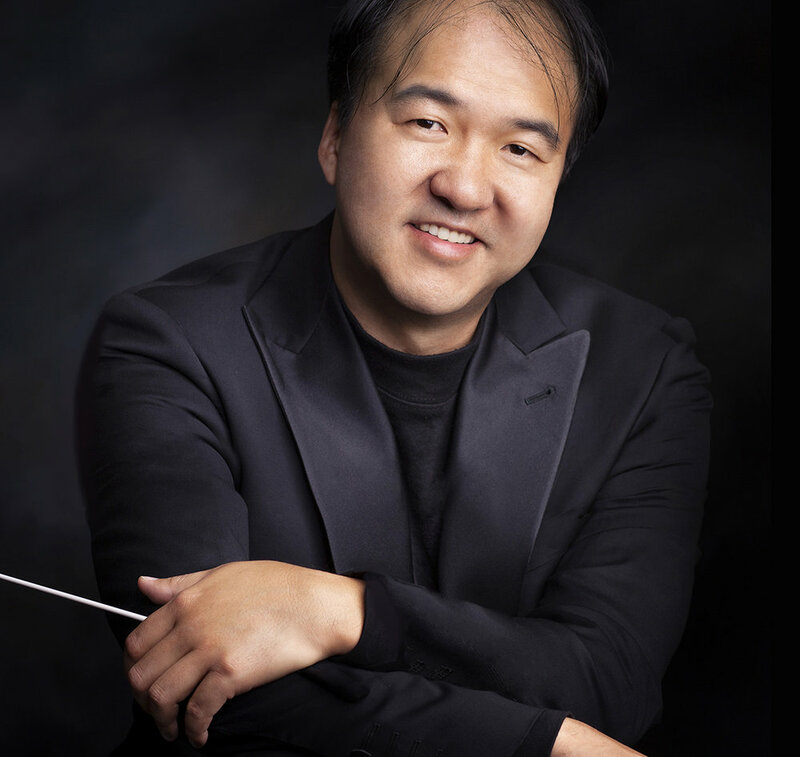 Jun Kim received his Doctor of Musical Arts Degree and Artist Diploma from University of Cincinnati-College Conservatory of Music, Master of Music from Indiana University and Bachelor of Music from the Peabody Institute of the Johns Hopkins University.